Remember when the film Zombieland had fun with the concept of “Zombie Kill Of The Week,” where Woody Harrelson’s surprise gun shot kill was upstaged by an old lady at church? With The Walking Dead ready to debut its sixth season next week and its spin-off, Fear The Walking Dead, also firmly in place, “Zombie Kill Of The Week” is something that could easily be a reality, with both shows taking on the task of finding new and creative ways to kill the undead on a weekly basis. A new supercut from Fast Company collects some of the best from the long-running AMC series, grouping them by kill genres, be it bashing, slicing, shooting, or tearing them apart. 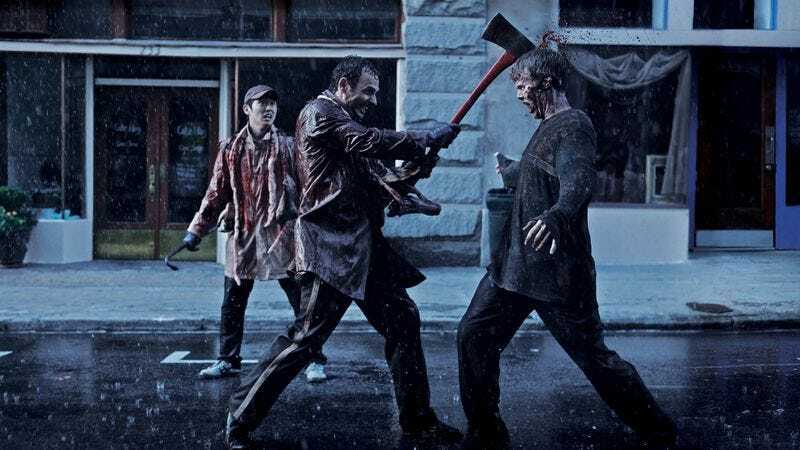 Some personal favorites: the zombie that gets its head bashed in by the car trunk and the zombie head being used as a weapon. Nothing here quite gets as creative as dropping a piano on a zombie, but that’s the cost of making The Walking Dead into a real-world drama, where the creativity of zombie kills are limited by their plausibility.